A sincere thank you to those who supported our E-SPLOST renewal on May 24. The referendum received overwhelming support from voters, and with those dollars secure APS can now move forward with our construction plans for the Grady Cluster. 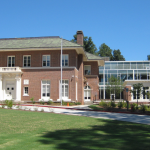 The design phase for the renovations and additions at both the Howard Building and Grady High can now begin as scheduled, as can plans for the cluster’s athletic complex on the Walden site. On July 1, APS officially became a charter system. Newly elected governance teams at each school will work with the principal to make more decisions at the school-house level as we push autonomy and discretion to those who are closest to our kids. 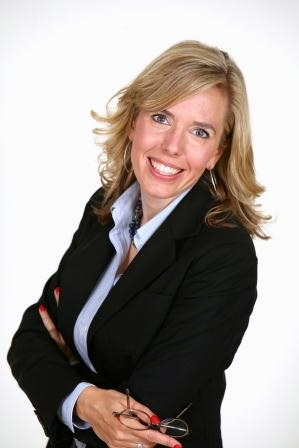 We’re excited to welcome Terry Harness as the new principal for Springdale Park! 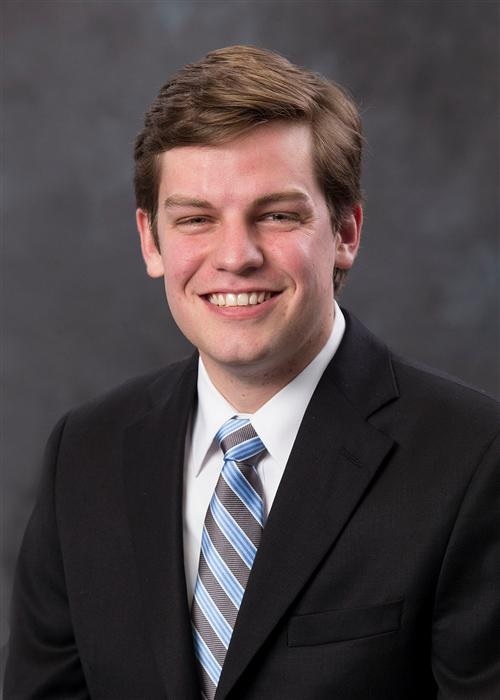 He will join returning principals Betsy Bockman at Inman and Tim Guiney at Grady. 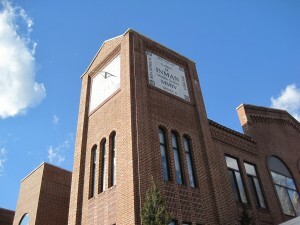 Inman anticipates an enrollment of just over 1100 students this fall. At the VHCA meeting on May 9th, Atlanta Public School District 3 Board member Matt Westmoreland and several parents asked the VHCA Board to support the referendum. The Board unanimously did that. We hope you will, too; here’s why. The upcoming E-SPLOST referendum on May 24th will have a significant impact on our neighborhood. Voters are being asked to keep in place the existing (not new) sales tax funding for Atlanta Public Schools. APS will use those monies to renovate the former Howard High School building in the Old Fourth Ward – Martin Luther King, Jr. went to elementary school there – and use it as the site of a new middle school for the Grady Cluster. Relieving the overcrowding at Inman will be the first step in a sequential series of improvements for the cluster that were outlined by the Superintendent and approved by the school board over the last year. They include major improvements to Morningside Elementary, expanding Grady High School, building new athletic fields, re-casting Inman as an elementary school, and removing the trailers from the Inman fields. It is a strategic and long-term solution that benefits both us and all our surrounding neighborhoods. An historic and modernized structure is preserved and reused. Morningside Elementary – expanded repeatedly over the last thirty years – needs a huge modernization of its HVAC systems. 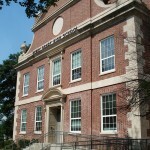 With the middle school gone, the Inman building can house Morningside students while that work is done. 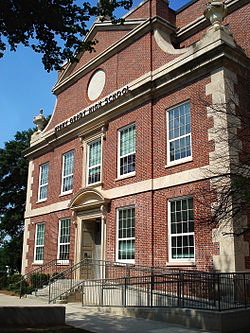 Once Morningside is back home, a reborn Inman Elementary (that’s how it started in 1924) can offer additional capacity at lower grade levels. It’s likely to be needed; Spark has been expanded twice in its brief life and Mary Lin has just been completely renovated. Adding additional classroom space to any of those schools is highly problematic. Previous school boards have offered up a series of obviously flawed short-term suggestions for relieving middle school overcrowding in the Grady Cluster. All of them underestimated the steady growth of the northeast neighborhoods and ignored the City of Atlanta’s Planning Department’s support for increased residential density. Superintendent Meria Carstarphen and the current school board (including our own representative, Matt Westmoreland) responded to a huge amount of community feedback with a plan that anticipates growth at the elementary, middle, and high school levels. Their proposal was unveiled to a standing room only crowd at Inman last September; it was received with enthusiasm. A positive vote on this referendum will end the specter of an even larger permanent middle school super-structure at Inman and all the associated problems that would go with it. The school board’s proposed end product – a smaller elementary school at Inman – will result in reduced traffic and parking on Virginia Avenue and Park Drive, roads that are already struggling to handle the existing bus load. And – lest we forget – the E-SPLOST also offers a light at the end of the tunnel regarding the trailer/classrooms that now consume the fields across from John Howell Park. Passing the E-SPLOST greatly increases the likelihood of returning the field sites to their previous usages – with existing trees intact. We are well aware of the existing legacy of cynicism about the Atlanta Public School system. Much of that reputation was earned by very poor planning and a head-in-the-sand approach to important topics. History’s verdict on our current board is yet to be written, but one point is already clear – this school board is planning for future capacity issues. Their pending proposal – the one whose funding awaits a ‘yes’ vote – is the first we’ve seen that aspires to anticipate and address the needs of the next twenty years. That alone is noteworthy and meritorious, and we salute the Superintendent and board for that. The vote on May 24th represents a bit of a crossroads for public education in Atlanta. A determined coalition of APS administrators, teachers, and parents are doing extraordinarily well for our students under today’s very difficult and challenging physical circumstances. They all deserve better, and this community deserves better. We urge you to support the funding that will allow our students and their immediate successors to go to school in the facilities that they deserve. Rebecca Wells is a VaHi parent with two students enrolled in APS and a third who soon will be. Jack White is the President of the VHCA Board and the parent of two APS graduates. The PTA’s of Inman Middle and Mary Lin Elementary schools are hosting a two-hour forum for candidates running for a seat on Atlanta Public Schools’ Board of Education next Wednesday October 9 starting at 6 PM. Candidates for District 1, 2 and 3 seats are expected to attend. 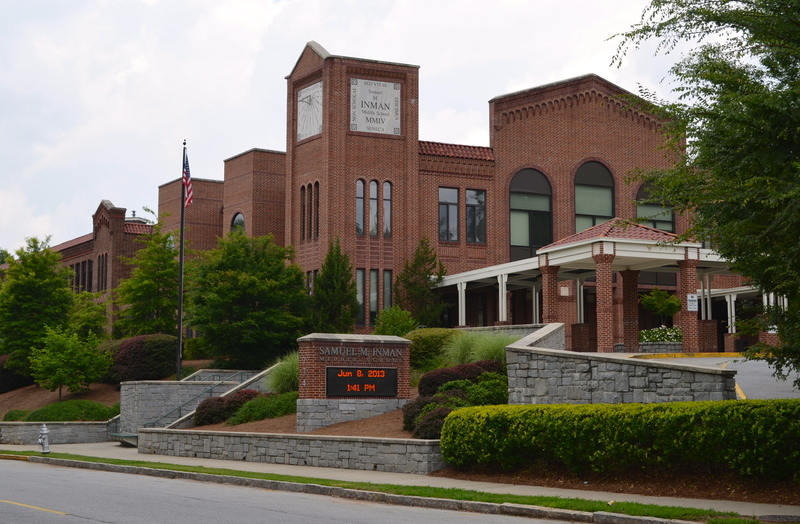 The Virginia Highland Civic Association and Inman Park Neighborhood Association are sponsoring an Atlanta Public Schools Board of Education At-Large Candidates’ Forum at 6:30 p.m. Wednesday, Sept. 18, at the Inman Middle School auditorium, 774 Virginia Avenue NE. Candidates in attendance are running for at-large seats Districts 7, 8 and 9. Confirmed attendees to date include: Courtney English (At-Large Seat 7); Cynthia Briscoe-Brown, Reuben McDaniel, Mark Riley and Tom Tidwell (At-Large Seat 8); Jason Esteves and Lori James (At-Large Seat 9). The event will be moderated by past CNN and WABE journalist, Susanna Capelouto. All are welcome to attend. Please submit questions in advance to IPedevents@gmail.com. On Monday, September 9th, the Virginia-Highland Civic Association Education Committee submitted a letter to Ann Cramer, chair of the Atlanta Public School Superintendent Search committee. The letter outlines some of the experience and qualities the committee would like to see in the new superintendent. 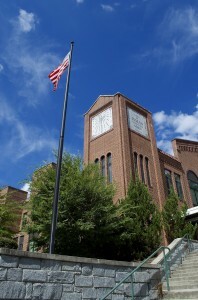 The Atlanta Public School Board hired Superintendent Erroll Davis on July 1, 2011. In December, 2012 the board extended Davis’s contract from June 30, 2013 to as long as December, 2014. In July 2013, the APS Board of Education dismissed its previous superintendent search firm, ProAct Search, and in August 2013, two new firms were awarded the contract: Atlanta-based BoardWalk Consulting and Philadelphia-based Diversified Search. Click here to read a copy of the education committee’s letter. On July 26, Atlanta Public Schools Superintendent Errol Davis sent a letter to Inman principal Paula Herrema and the Inman overcrowding task force announcing his decision to recommend a small expansion of Inman Middle School – 6 to 8 classrooms consisting of a total of about 10-12,000 square feet. In effect, these classrooms will replace the temporary trailers now on Virginia Avenue. Click here to read a copy of Superintendent Davis’ letter. We love and value Inman very much, and we will all be glad to see the discussions end and the trailers go, but in a report and meeting with the Superintendent last January, the Virginia-Highland Civic Association expressed deep concern about the wisdom of making permanent the higher enrolment levels that came with the trailers. 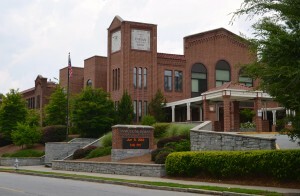 All parties agreed that the Inman site did not meet APS’ own guidelines for field space and parking; at their time of installation, the new trailers were presented as a bridge to a solution that would have appropriate amounts of all the school spaces – buses, parking, auditorium, gymnasium, learning center – needed to accommodate the Grady cluster’s expanding middle school numbers. Our specific worries were those expressed by many citizens on the streets adjacent to the school: the extra capacity had worsened the already challenging traffic issues in the neighborhood. A dozen-plus school buses assembling every afternoon on Clemont and Park Drive – along with waiting parents – and the accompanying general congestion are real quality of life challenges for those near the school. The effects are widespread and especially acute on Clemont and Greencove, which were never designed for such purposes and whose only outlets are onto already overloaded streets. Last year we were part of an effort – the Inman Transportation Task Force – that has been trying to make this unwieldy situation work as well as it can. The Transportation Task Force has representatives from the school staff, APS administrators, the school PTA, the City of Atlanta Police and Traffic Bureau, VHCA, and Councilmember Wan’s office. This group – along with Inman principal Paula Herrema – have been sympathetic and energetic, and some progress has been made. The issue of there being simply too much traffic in limited space remains. 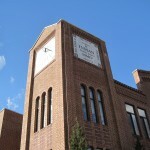 We assume that the Superintendent has concluded that this new expansion – presumably combined with the departure of Centennial students from Inman, as that school adds a 6th grade in 2014-15 and then a 7th and 8th over the next two years – will address the future middle school needs of the cluster. We hope that this premise is correct; it will be particularly disappointing if shoehorning more students into Inman’s very tight spaces doesn’t solve the long-range capacity problem. Any further additions on the site appear to be undoable. This also represents an opportunity to try to identify approaches that will mitigate the bus and parent pickup/drop-off issues. To that end, we have been assured by our local School Board representative that she will do her very best to see that our neighborhood voices will be heard and we will be an integral part of the design process. The Superintendent made similar representations when we spoke last winter. We cannot promise exact results; we can say that we will use all the professional resources at our disposal to do everything we can in terms of communication and planning. The location of a future new 6th grade academy and other capacity issues are expected to be on the agenda when Grady High hosts a State of the Cluster meeting this Thursday February 7 at 6:30 PM. The meeting is open to the public and all interested parties are invited to attend. Click here to read a Patch story about the upcoming meeting and to view a January 31 letter from APS Superintendent Errol Davis to the Inman Task Force regarding capacity issues. In the letter Davis acknowledges last week’s meeting with members of the VHCA board of directors and their discussion of concerns raised in an analysis of the three Task Force-recommended academy sites. The analysis was done by Aaron Fortner of the planning firm Market & Main at the request of the VHCA. Click here to read VHCA board president Jack White’s comments about their meeting last week with Davis and to view a copy of Fortner’s presentation. Fortner will provide insight on his analysis at this month’s regular meeting of the VHCA board (Mon. Feb. 11, 7 PM, Ponce library). The VHCA Planning Committee asked Aaron Fortner – the principal at Market & Main and our municipal consultant for several years – to analyze a number of important factors outside the purview of the Task Force, particularly the traffic, policy, and planning implications and impacts of construction at the two VaHi locations. His firm compared such outcomes at those two sites to a third location also recommended (less enthusiastically) by the Task Force: the Howard School located in the Old Fourth Ward. The Market & Main analysis is available here. Well aware that APS will consider many factors in reaching this decision and facing an announced end-of-January deadline, we very much wanted this information and these concerns to be in front of APS Superintendent Erroll Davis before he acted. Accordingly, members of the VHCA Planning Committee met with Superintendent Davis and other APS officials last week to present the findings contained in the Market & Main report. Our discussion with Superintendent Davis was cordial, detailed, and thorough; he specifically asked about the history of the neighborhood, the Civic Association, and its historic support of public education. Davis spoke carefully, as he always does, making several key points: (1) His anticipated January deadline for a decision will not be met; (2) He is looking for a site that could accommodate a middle school in the future, though he did not say that one would be built; (3) None of the locations recommended by the Task Force is ideal, and APS is reviewing many options, including the original three sites. 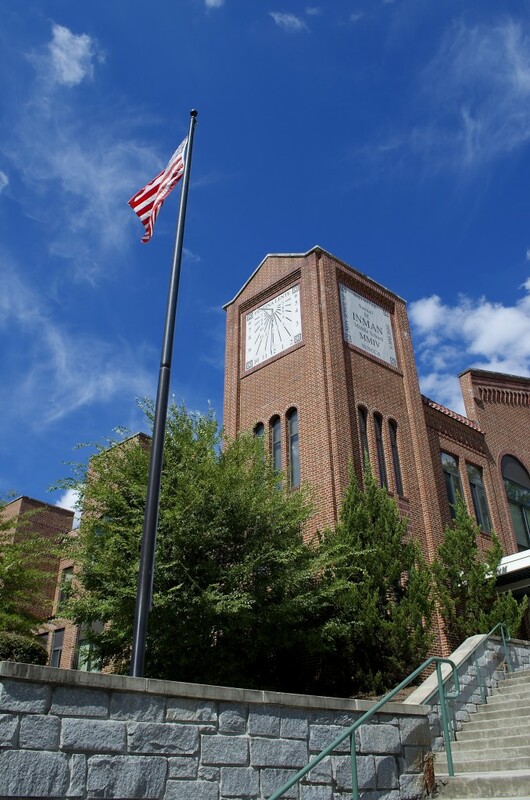 The Market & Main report makes no recommendation as to what location should be picked, but we are aware that the conclusions in it may not be welcomed by anyone who believes that expansion at the Inman or Monroe sites is the only acceptable outcome to the attendance challenges facing the Grady cluster. The report focuses on the overall impacts of building in VaHi – increased traffic, non-conforming land use, congestion – and the implications that flow from them, specifically those that might contribute over the long run to permanently altering the residential character of the neighborhood. Such challenges exist in many contexts independent of possible new school construction. The popularity of the Beltline has heightened traffic/pedestrian conflicts on an already-stressed Monroe (where both the Piedmont Heights Master Plan and the Beltline Plan suggest changes), and pedestrian safety on Briarcliff is a very real concern for those walking to SPARK. A separate public meeting next week at Inman Middle School will hear about pending traffic changes intended to relieve congestion on Ponce. The neighborhood has existing un-built commercial and residential capacity, the eventual utilization of which is very likely to exacerbate today’s traffic challenges. The permanent impacts of unplanned construction in our neighborhood outside the Comprehensive Development Plan require especially thorough consideration. Our primary goal – as it is frequently is in such matters – was to examine the traffic and policy issues in a professional context with an independent planner, and that is what Market and Main provided. As always, please let us know your thoughts about the report. Aaron Fortner will be at our next VHCA meeting (February 11th, 7 PM, Ponce library) to amplify on his work.